Our staff dressed as tigers, leopards, unicorns, rabbits and in PJs to raise money for our children’s programs. Our staff like to have a good time at work. 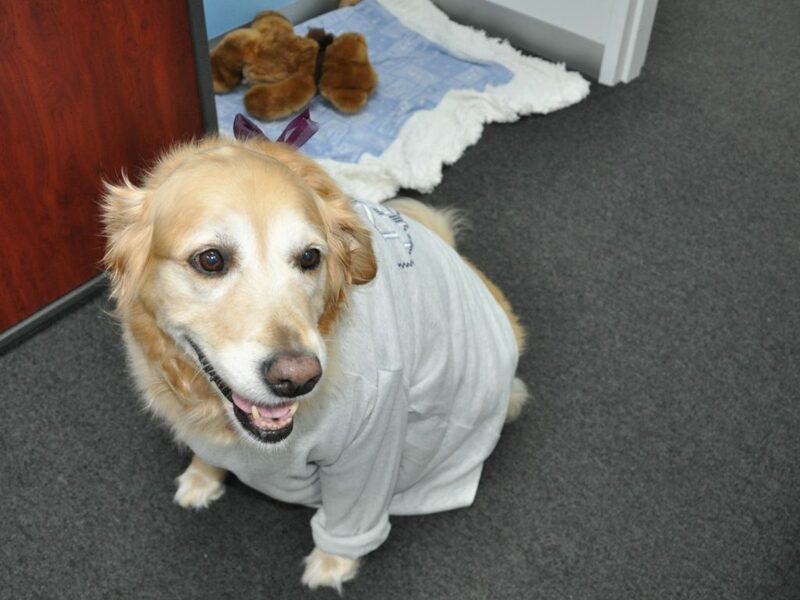 Among our favourite annual activities organised by our Health and Wellbeing Committee is a “Wear your PJs to work Day”. Our staff being the enthusiastic people they are, many take this a step further and decide to wear “onesies”, a one-piece outfit, instead of PJs. This year, the dress up day raised money for our children’s programs. “Team Onesie” staff dressed as tigers, a unicorn and a rabbit. 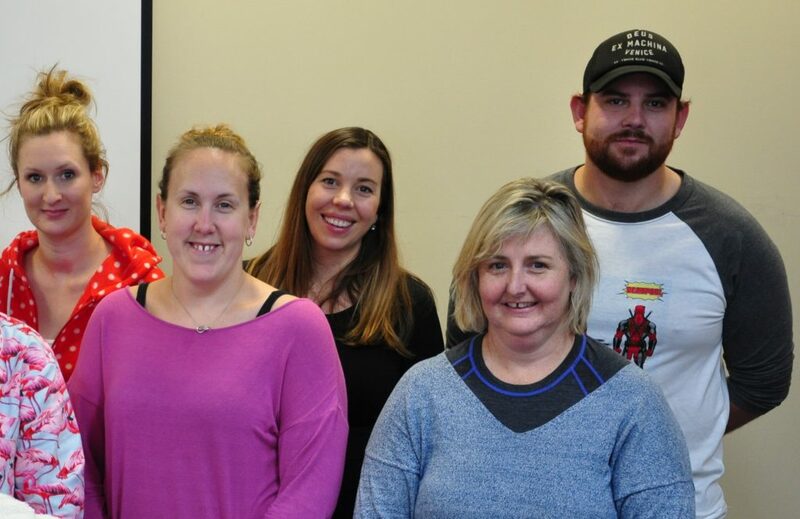 “Team PJs” included a male staff member who dressed in his wife’s PJs, silk polka dots (our CEO), and Bonnie the golden retriever who wore a PJ top. Some time-poor staff dropped their children off at school and child care while dressed in PJs and novelty slippers. Our Family and Children’s Services Manager Claire Anderson said: “We like to have fun at work but we take our work seriously. There is nothing we are more passionate about than out children’s programs. “Our mission is to support people to achieve their full potential. To find out more about our programs for children click here. 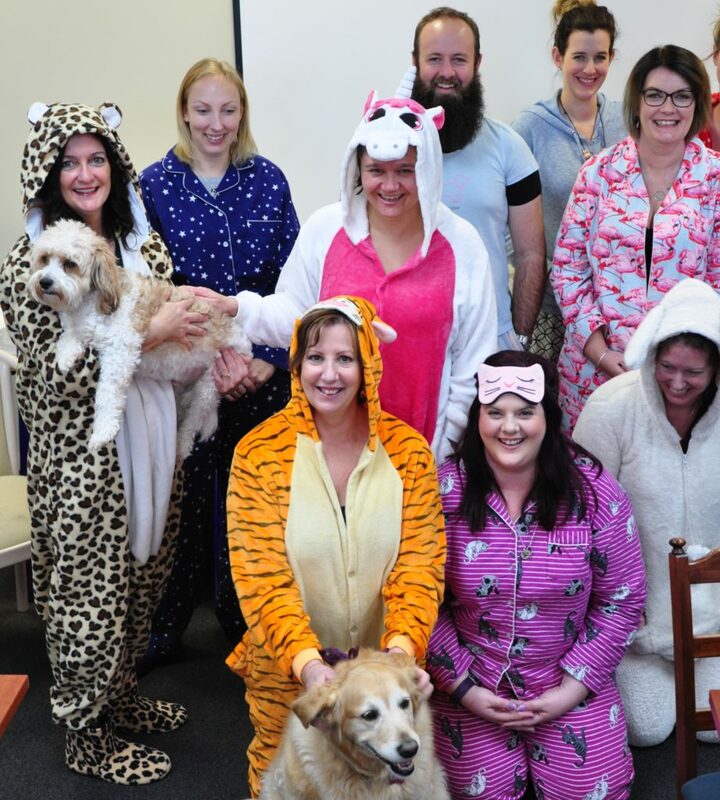 Our team dressed up in PJs and onesies to raise money for children’s programs.